Facebook & other social media erupted with meme’s about Friday the 13th’s full moon being the last one until 2049. After some brief research (aka google) I realized that really depends where in the world you live. Even if it isn’t THAT rare it was still pretty cool; especially since here in Seoul we had a blood red full moon for the first few hours! 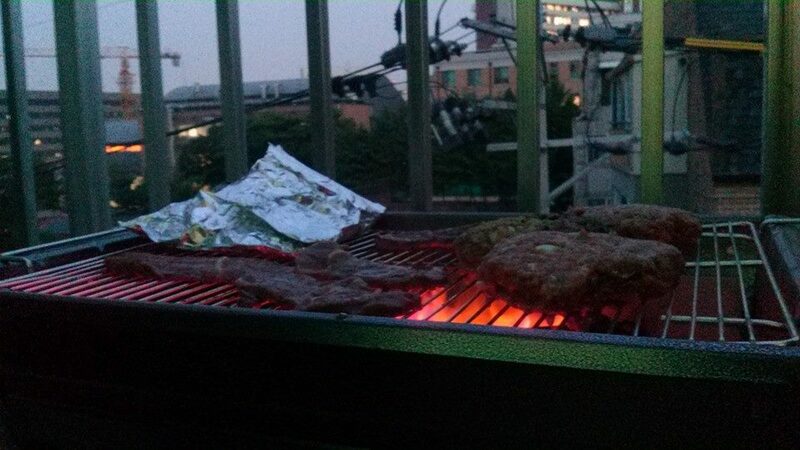 Luckily my coworkers and I enjoyed it from our balcony while christening our newly purchased BBQ. I enjoyed the best cheeseburger in almost 10 months (yikes, I’ve been here almost a year already!?!?) and we grilled up some steaks, chicken, eggplant, peppers and potatoes while dancing away.